I am certainly enjoying this run of positive journal reviews of my Crater book. Don’t worry, I plan on sharing the negative reviews as well. 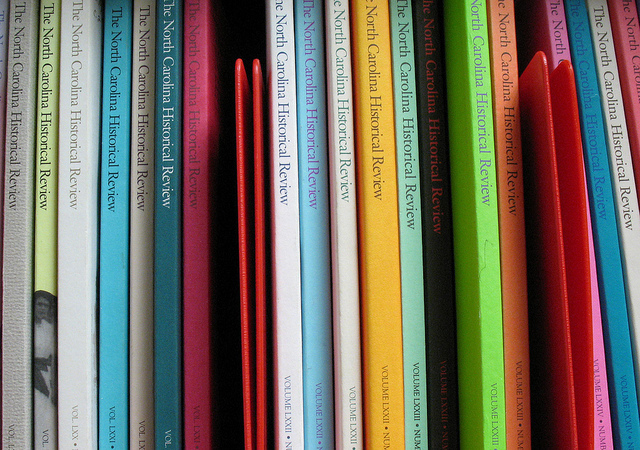 The latest is an enthusiastic review from Fitzhugh Brundage in the North Carolina Historical Review (January 2013) and it feels pretty damn good. One of my favorite recent studies of historical memory is Brundage’s The Southern Past: A Clash of Race and Memory. I also highly recommend his book on the history of lynchings in the New South. I couldn’t be more pleased that once again Brundage picked out the section on Mahone as the important contribution to the literature. He also makes some interesting suggestions on places worthy of further investigation such as the extent to which the wartime response to the Crater on both sides was already a product of previous encounters. That is definitely worth some thought. Thanks to Christopher Graham for providing me with a copy of this review. I still have plenty of signed copies available for sale that you can purchase at a discount for $25. As someone who grew up on the Jersey Shore I am certain it will make for some enjoyable beach reading. Some battles are inordinately interesting, whether because of their drama or their impact. In the case of the Battle of the Crater, fought on July 30,1864, on the outskirts of Petersburg, Virginia, almost everything about it was extraordinary. It began with a massive explosion of a mine dug under Confederate trenches, included desperate hand-to-hand combat between black Union soldiers and enraged Confederates, and ended with the summary execution of many unarmed Union soldiers. The battle simultaneously hinted at the character of future trench warfare and demonstrated the continuing grip on archaic Napoleonic tactics. Thus, although the battle was neither especially bloody nor a turning point in the war, contemporaries and subsequent observers have assigned to it uncommon import. In Remembering the Battle of the Crater, Kevin Levin focuses on the historical memory of the event, rather than the details of battlefield tactics or wartime strategy. In particular. Levin shines new light on the cultural and racial politics of reconciliation that unfolded in the three-quarters of a century after the Civil War. In broadest terms. Levin’s conclusions are consonant with those of David Blight in his well-known Race and Reunion. Despite their conspicuous role in the battle, African American soldiers were subsequently erased from the white public memory of the event. Confederates, who had been outraged to face armed former slaves on the battlefield and who had shown them no mercy, subsequently were little inclined to recall black valor that contradicted evocations of contented antebellum slaves. And white Northerners all too easily overlooked black accounts of the battle when recalling the carnage at the Crater. Levin complicates this narrative of sectional reconciliation in two important ways. First, he demonstrates that politics of the memory of the Crater became entwined with the controversial political machinations of William Mahone, the Confederate “hero” of the battle and the leader of the biracial Readjuster political party in postbellum Virginia. Like Longstreet, Mahone’s willingness to align himself with the Republican Party made him anathema to most former Confederates. In response, offended Confederates retold the history of the battle to erode Mahone’s heroic role in it. Here, then, was a conspicuous and meaningful example of white Southerners jousting over Civil War memory that belies any notion that white Southerners easily or quickly arrived at a consensus in their interpretation of the war. Second, more than any previous scholar, Levin reveals the black countermemory of the battle, as well as the persistent obstacles, until recently, to any acknowledgment of it at the preserved battlefield or in scholarship. The black countermemory was not erased so much as it was simply ignored. Remembering the Battle of the Crater is crisp, cogent, and persuasive. Levin has made a valuable contribution to the ongoing revision of how we think about the Civil War and its legacy. He also makes a compelling case for the value of reflecting on the evolution of the popular memory of Civil War battles. Even so, for all the book’s strengths, there is still work to be done on the topic. For instance. Kirk Savage, in Standing Soldiers, Kneeling Slaves has a brilliant discussion of the horror elicited by the 1864 campaigns in Virginia, especially the purportedly unheroic trench warfare that characterized the siege of Petersburg. Levin might have gone further in exploring the ways in which the Battle of the Crater was a milestone in the perceived descent into dehumanizing warfare. Similarly, there is more scope for research on the heightened awareness of atrocities that fed the early contrasting historical memories of the Battle of the Crater. Levin points out the frequent contemporary references to the Fort Pillow massacre, but by the summer of 1864, all the participants had a lengthening list of grievances. No equivalency of these grievances is implied here; rather, it is worth exploring more fully how the aftermath of the Crater was itself the consequence of the historical memory of earlier events. Finally, Levin traces the history of the preservation and interpretation of the Crater battlefield up to the present. His particular focus is on the absence of the black countermemory. But left largely unaddressed are some potentially important and interesting facets of the site’s history. For instance, who put up the monuments that were erected on the site? Where did the funding for the monuments come from? And what aesthetic choices were made by those who planned the monuments? None of these unanswered questions detracts from Levin’s impressive accomplishment. Instead, they demonstrate that the work of deciphering the meaning of the Battle of the Crater continues. Great review. Sounds like the reviewer wants you to write the Big Book of the Crater. Congrats on another positive review. Are any the negative reviews from legitimate sources (non-anonymous)? Fortunately, I can say no.